There is so much to talk about on the topic of lighting. Lighting in your home is of particular importance because there are so many choices. Today, we’ll be providing a few tips of things to think about when lighting your home. 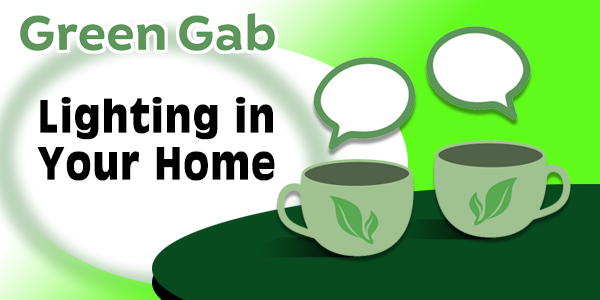 The most-recent episode of The Green Gab Podcast, featuring The Green Home Coach, Marla Esser Cloos, has all of the details you need!